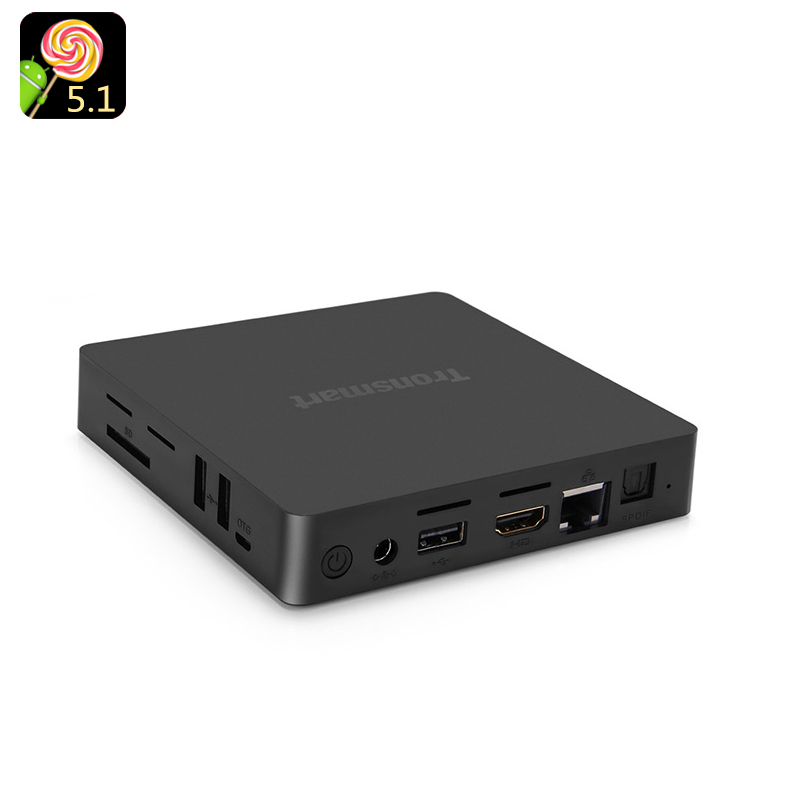 Successfully Added Tronsmart Orion R68 TV Box - Android 5.1, 4K, 64-Bit Rock Chip RK3368 CPU, Wi-Fi, Bluetooth 4.0, 3 USB Ports, OTG, Kodi to your Shopping Cart. Turn your TV into a full entertainment centre, featuring your favorite streaming channels, games and the latest Android interface. The Tronsmart Orion R68 offers a complete package when it comes to media, games and functionality on your TV. Featuring a powerful 64-Bit Rock Chip RK3368 Octa Core processor, Orion 68 will not only give you faster data processing speed, but also let you efficiently work with the latest apps and tools. With a strong processor inside, the Tronsmart Orion R68 can offer 4Kx2K resolution for all your media with no lag during playback. So, get ready to enjoy your favorite streaming channels or load up the TV box itself with exciting media. With the Tronsmart Orion 68, you get 16GB of internal memory + 32GB externally. What’s more, you will have 3 USB ports (while most Android TV boxes out there will only give you two) and an OTG port with an OTG cable for plenty of peripheral options. The Tronsmart Orion R68 comes with the latest Android 5.1 operating system, and you will have the best experience navigating the TV box that has lots of customization options. What’s more, with unlimited Play Store access, you will easily get all the needed apps and tools to make it even better. With Bluetooth and Wi-Fi, Orion R68 will efficiently communicate with the Web, as well as your other devices. Moreover, thanks to the H.265 decoding, you will be able to get high-resolution videos even when your Internet speed is not at its best. The Tronsmart Orion R68 TV Box comes with 12 months warranty. Brought to you by the leader in electronic devices as well as wholesale Android TV boxes, Chinavasion..